Creating an infographic is easy with Visme. You can start from a blank canvas by introducing your own elements and design or simply start from a series of starter infographic templates (which is a great starting point to create from). You can even browse through library of pre-designed content blocks that correspond to different sections of an infographic. This way, you can simply drag-and-drop content blocks onto your canvas and apply a color scheme with just one click. Click here to know How to Use Content Blocks. You then choose the Infographics category from the list of visual content options. Create an outline for your topic. What messages do I want to portray to the viewers? Once you have answer to these questions, you are ready to create one. Creating an outline for your infographic is optional but make sure you have a clear picture of what you want to create before you begin. 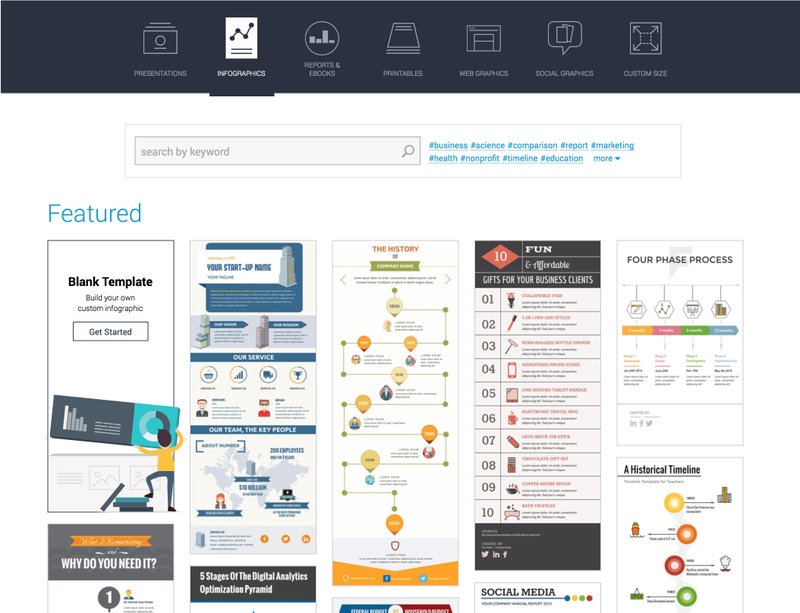 The Suggested Content tab under Basics from the left panel has basic assets to help you get started on your infographic. Click on Data from the left panel will give you access to all data visualization elements including Charts and graphs, tables and maps. 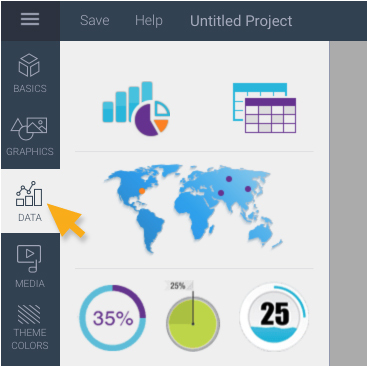 Infographic widgets allow users to quickly translate boring data into simple and easy to understand pieces of contents that are easy to understand. It’s a good idea to add footnotes and references. Infographics are often data dependent. The accuracy of the data and contents provided should be supported. Tips: Reserve a small area to provide references at the bottom of your infographic. 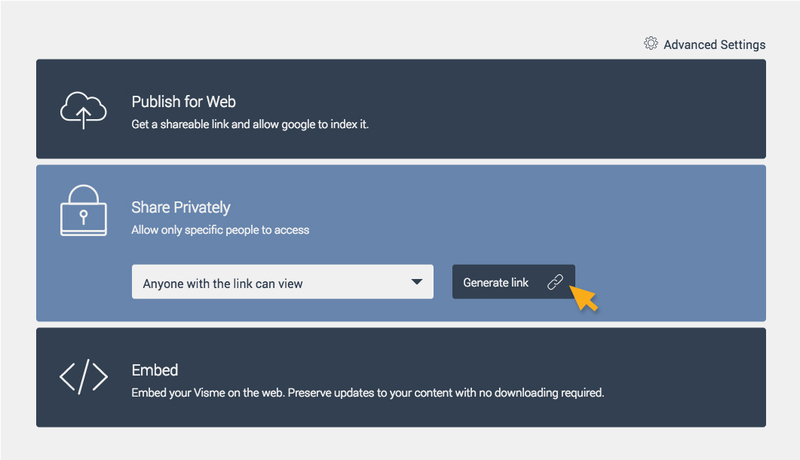 Once you are done with your infographic, click Share at the top right of your screen to generate a shareable URL when you click Publish for Web. 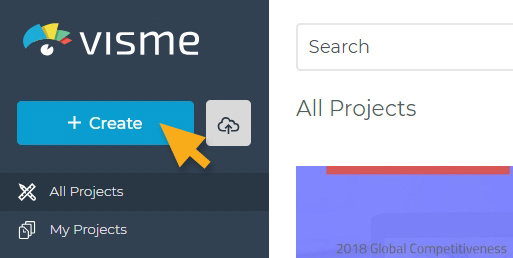 To allow certain users to access or view your project, select Share Privately option and create a password. Tip: To print your infographic, first download it. Click Download at the top right of your screen and select download as PDF file.